Objective: Introduce building mechanical and electrical systems and design methods. 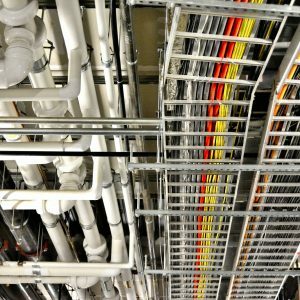 Areas included in this course are heating, ventilating, air conditioning (HVAC), plumbing and piping systems, fire protection, electrical equipment and systems, electrical design and lighting. A tour of campus buildings and central energy plant are also included. The course goals are to enable students to design building mechanical systems, electrical systems, plumbing systems, and lighting systems. PR: EGN 3343; CR: EML 3701, EML 3101. 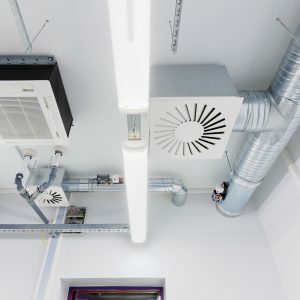 Heating, ventilation, air-conditioning, and refrigeration principles and systems design. Phychrometrics, heating and cooling loads, equipment and components, and distribution systems. 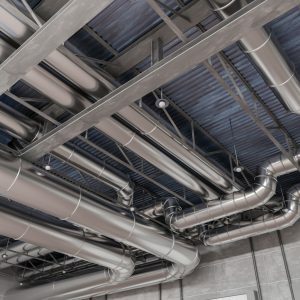 Applications of HVAC systems design with the objective of optimizing energy efficiency, humidity control, ventilation, and indoor air quality. Dehumidification performance of the various HVAC system types and their interactions with the building. Objective: To study electronic devices reliability in the context of Physics of Failure and reliability. Outline: Electronic Devices and their Reliability, Failure Frequency, Bath Tub Curve and Failure, Defect, Contaminants, and Yield, Mathematics of Failure and Reliability, Failure Models, Exponential, Log Normal, Weibull Distribution, Purpose of Packaging, Typical Configurations, Criteria for Component Selection, Pottant or Encapsulant, Environmental Damage of Electronic Products, Acceleration Testing, Electronic Packaging & Failures, Electrochemical Corrosion, Delamination, Solder Bond Failures, Failure Prevention, Future Direction & Reliability Issues. Analysis and design of linear DC and AC circuits. This course will familiarize students with the basic theorems, concepts and laws of electric circuits, and by the end of this course, students should be able to apply fundamentals of electric circuit theory to analyze and design electrical networks. Principles of power electronics, power semiconductor devices, switch-mode DC-DC converters, power losses, converter dynamics, stability and control design. 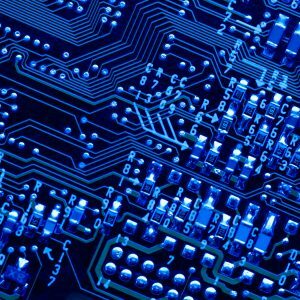 This course will cover the principles of power electronics and its applications, including power electronics circuits, power semiconductor devices, and converter topologies, and emphasize complex theoretical analysis and computer simulation tools as course project. Students will learn analysis and design techniques for switch-mode converters using the buck, boost, and buck-boost topologies. Advanced topics in power electronics, soft-switching techniques, small signal modeling of PWM and resonant converters, control techniques, power factor correction circuits. This advanced course in power electronics will cover soft-switching techniques, which includes the zero-voltage-switching and zero-current-switching. Students will learn how to model and obtain the small signal responses for the DC-to-DC switch-mode converters and resonant converters. Recent topologies in power factor corrections may also be covered.